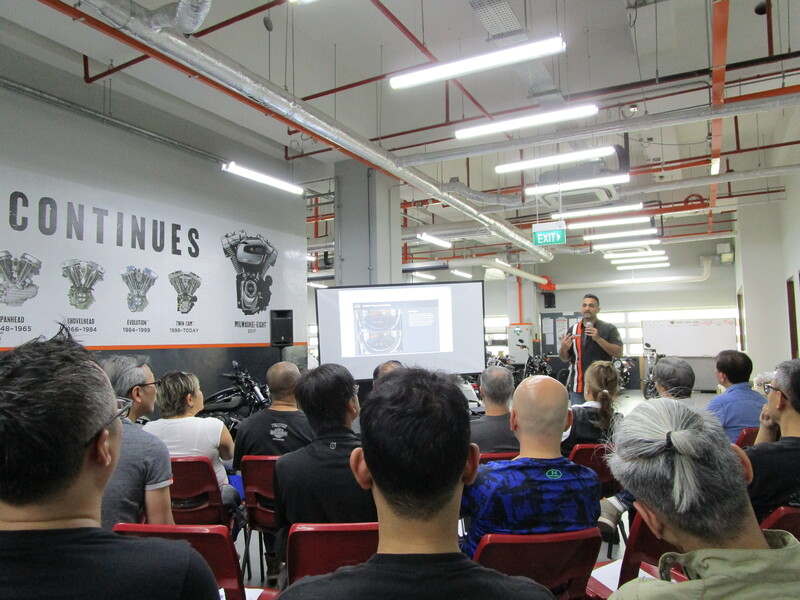 On the 27th of January, Harley Davidson of Singapore held a workshop talk to discuss features and improvements centred on the Milwaukee Eight engines, powering the 2018 softail range. Given the trickling down of the Milwaukee Eight powerplant from Tourers to the Softails by the MoCo, certain aspects had to be kept in mind. Direct-to-frame mounted engines would need to produce less vibration.While the rubber mounted Milwaukee Eight engines on the Touring range only required a single counterbalancer, the 2018 Softails now feature twin counterbalancers to lessen stress to the frame mounts, although MoCo execs are quick to reassure that the engine vibrations and pulsating combustion strokes can still be felt. Weight reduction was another key feature Harley Davidson emphasized on the 2018 Softails, against the outgoing 2017 range. Weighing up to 35 lbs less, about 15kg in metric terms, that won’t seem much but on a motorcycle, coupled with a lower centre of gravity, that makes a heck of a difference. 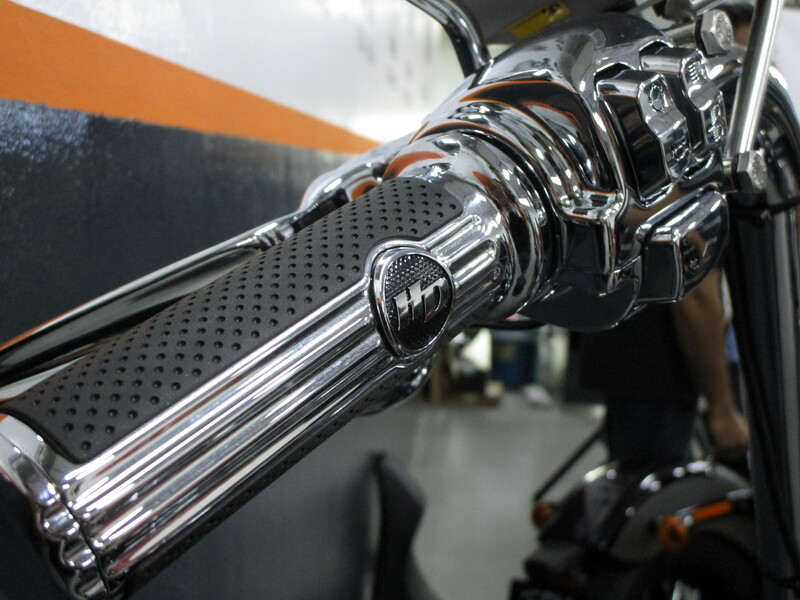 Other notable engine features include the now wet sump, instead of the previously seperate oil sump across the Softail range, exposing the rider to less heat sources, adding comfort for long distance rides while other changes allow for increased lean angles and better handling. Final drive belt changes are also easier now, with re-engineered access to the drive belt for faster and simpler replacements, reducing time in the workshop, labour charges and overall, increasing time that owners could be spending in the saddle and turning them wheels. 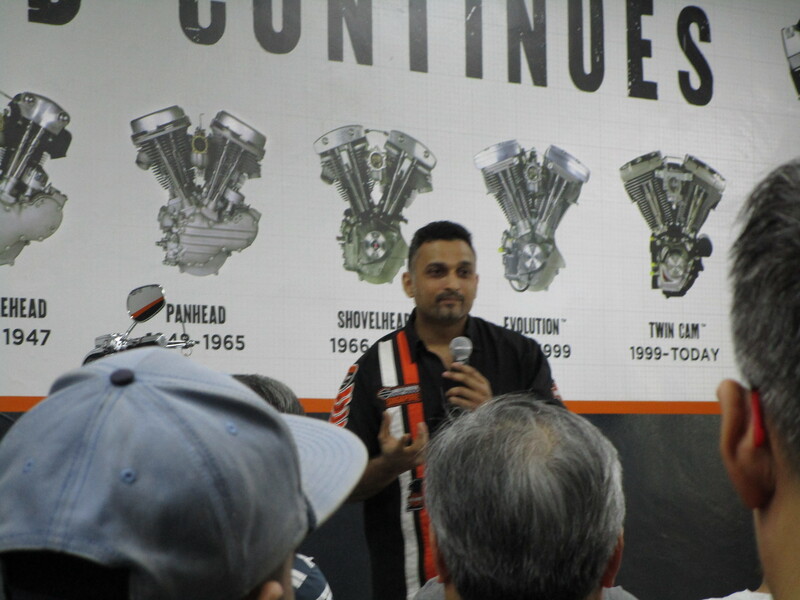 The workshop talk builds on to the Launch of the 9th Milwaukee Eight powered Softail, the Softail Sport Glide, slated for the evening of Friday, 2nd February at the Harley Davidson of Singapore Dealership.